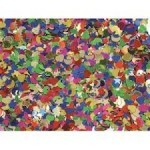 Glitter describes an assortment of small, colourful, reflective particles that comes in a variety of shapes and sizes. 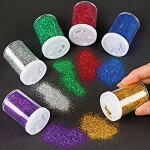 Glitter particles reflect light at different angles, causing the surface to sparkle or shimmer. Glitter is like confetti, sparkles, or sequins, but somewhat smaller. Since prehistoric times, glitter has been made and used as decoration, from many different materials including stones such as malachite, galena, and mica, as well as insects and glass. Modern glitter is usually manufactured from plastic. 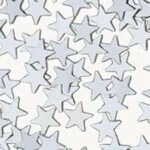 Standard - KINDYGLITZ - 36ml dispenser Set of 5 Derivan Kindyglitz is an acid free, archival quality glitter glue, great for adding a little glamour to your papercraft, cardmaking and scrapbooking projects. It can be applied to all card and paper surfaces, drying to a relatively flat finish. 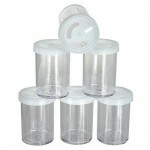 De..
Crystalina - KINDYGLITZ - 36ml dispenser pack of 5 dries clear with crystal like appearance. Derivan Kindyglitz is an acid free, archival quality glitter glue, great for adding a little glamour to your papercraft, cardmaking and scrapbooking projects. It can be applied to all c..
Glitter Glue KindyGlitz Standard. 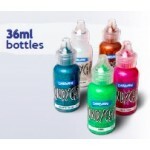 36ml dispenser bottle. See the Colour Chart here. Please select the colours you require from the Available Options. Australia's favourite glitter glue. Derivan Kindyglitz is an acid free, archival quality, glitter glue great for adding a little gla..
fluoro (Crystalite) orange, pink, purple, yellow and aqua - KINDYGLITZ -set of 5 Derivan Kindyglitz is an acid free, archival quality glitter glue, great for adding a little glamour to your papercraft, cardmaking and scrapbooking projects. 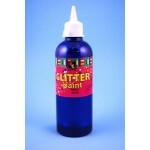 It can be applied to all card and paper surfaces, ..
EC Glitter Paint 500ml. 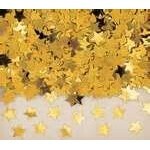 Non-toxic, fantastic for adding a festive touch to collages, gift cards, mobiles, and many other creative activities. This dazzling vibrant paint will add a new fun dimension to projects both in the home and the classroom. Packaged in recyclable PET bottles. 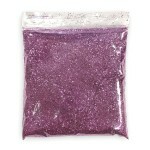 8 meta..
Glitter Bulk 100gm. Empty Shaker Jars and 25gm packs are available. 7 colours in bulk packs. 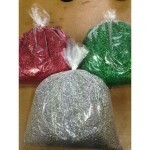 ..
Glitter Bulk 1kg. Empty Shaker Jars and 25gm packs are available. 7 colours in bulk packs. 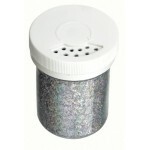 ..
Shaker Jar (Empty) 6pc ..
Laser Dust Silver, very fine holographic silver "dust" in a shaker 50gm ..
Silver - A very fine rectangular shaped Glitter, looks great! - 50gm ..
Glitter 25gm. Empty Shaker Jars and Bulk packs are available. 5 colours and a multi-colour in 25gm jar. Please select the colours you require from the Available Options. ..